It's that time of year again... Time for the BIG game and all the festive, fried, greasy, cheesy treats that come with it. However, if you're vegan or vegetarian- or maybe even still holding on to that new leaf you turned over for New Years - the big game could be a big stress. It's quick and easy to make and will have even the most carnivorous grid-iron giants drooling! In a large pot, add oil and heat over medium heat. Add garlic and onion and sauté for 3 minutes or until translucent. Add remaining ingredients, stir well, cover and simmer on low to medium low heat for 30 minutes. For a spicier chili, add cayenne pepper or red chili flakes. 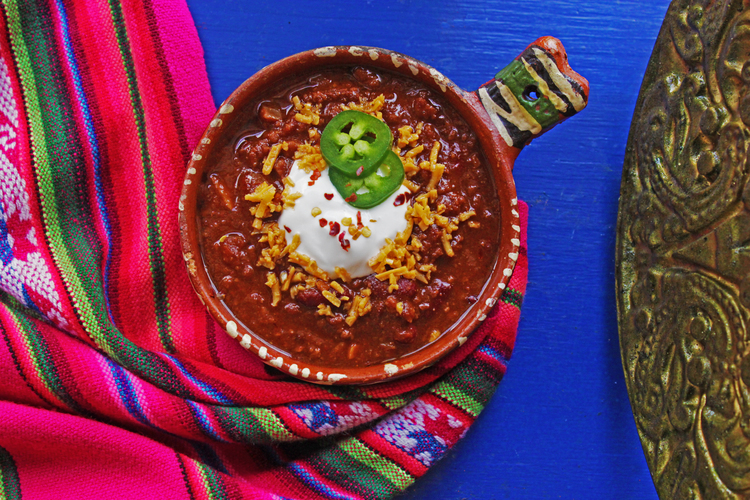 Serve with tortilla chips and even set up a chili bar featuring: vegan sour cream, shredded soy cheddar cheese, chopped scallions (green onions) and fresh jalapeno slices.